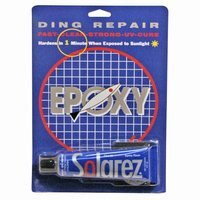 Quick Repair for Epoxy Boards - Ideal for on the spot repairs. Contains urethanes that keep from yellowing. Comes with 60/240 grit sand paper.